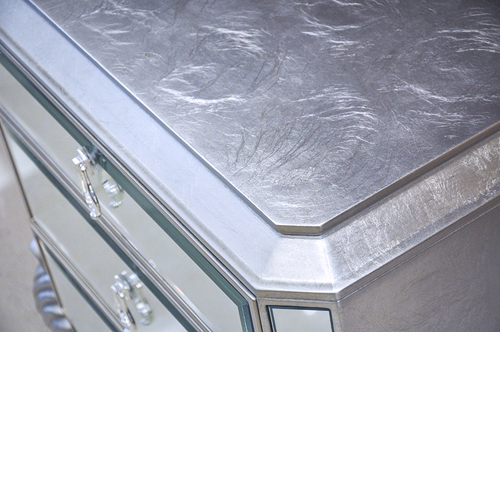 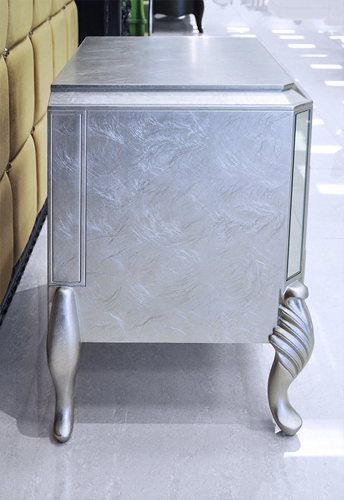 Mirrored night stand cleverly crafted from solid Birch wood and finished with luxurious silver leafing. 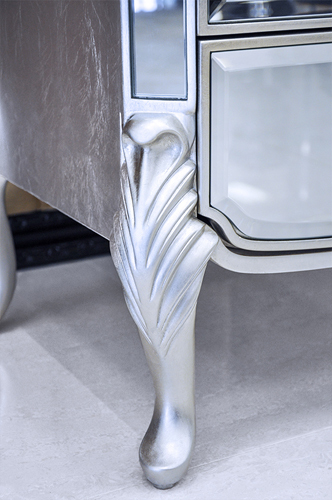 Each detail is intricately and delicately hand carved to present subtle elegance. 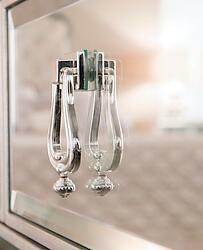 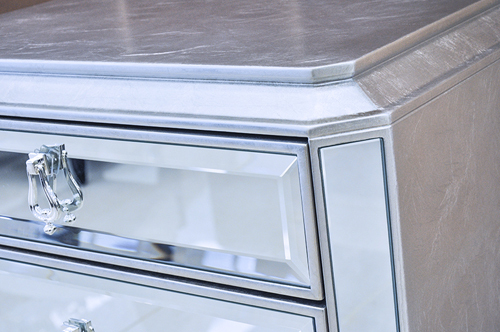 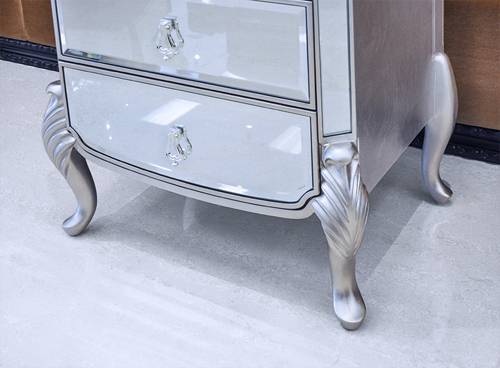 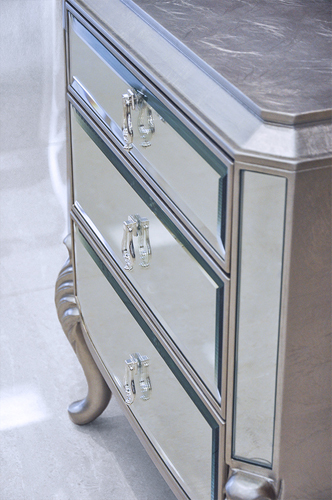 Mirror drawer fronts balance against silky silver leafing offering modern glamor and timeless sophistication. 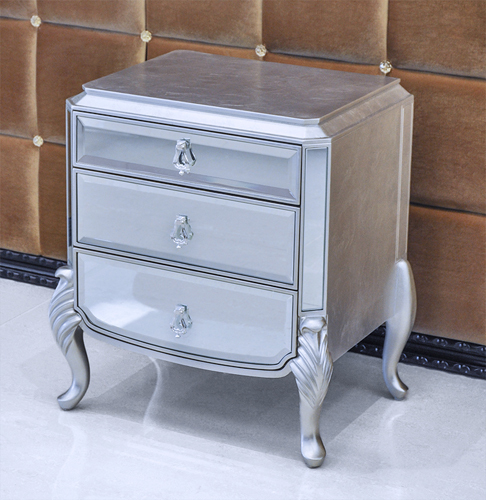 The modern night stand is equipped with 3 functioning drawers for plenty of spacious storage. 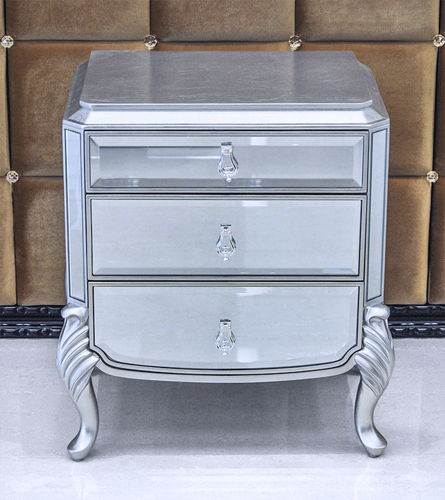 With it's chic, beveled mirror drawers, contemporary finish, the contemporary night stand is an eye catching element perfect for any bedroom or living room decor. 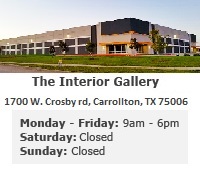 ****Please note that this ad is for one night stand only. 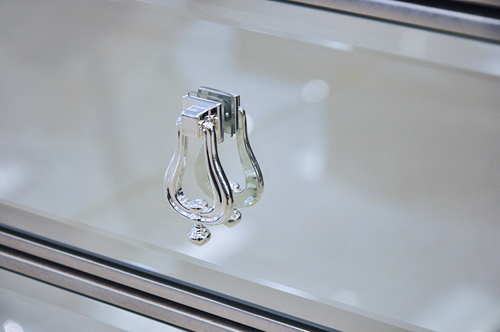 L24.5" x W18" x H27.5"